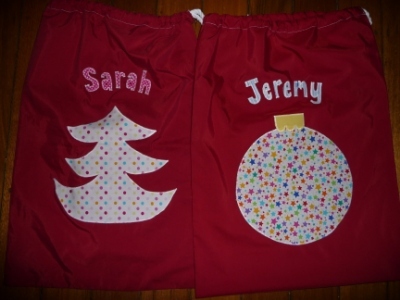 I love that you do santa sacks! We do too although it's a tradition from H's family so I'm not sure I do it "right". But it's fun. You have gotten further than I.. mine are not appliqued yet so just look like pillow cases!